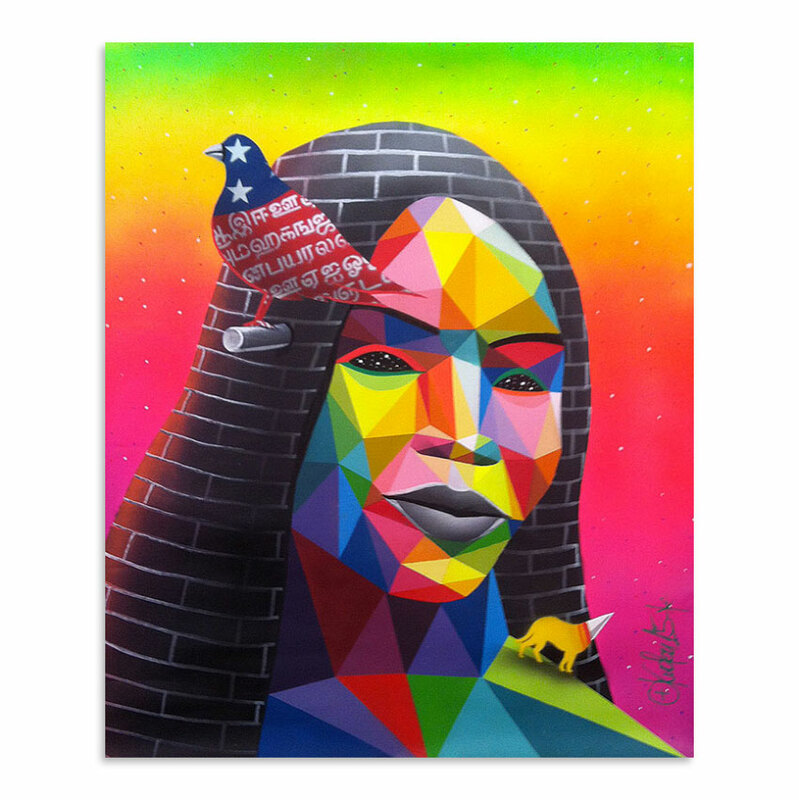 This RUN comes signed by Okuda and includes an Original Artwork Letter of Provenance from Inner State Gallery. Oscar San Miguel Erice .Nacido the November 19, 1980 in Santander, based in Madrid since 2000. Licenciado in Fine Arts from the Complutense University of Madrid. Since its inception in 1997, its work on roads and abandoned factories Santander were clearly recognizable. Parallel to the road also begins to produce more intimate works in his studio, with which from 2009 evolves into a more personal way. The work raises contradictions about existentialism, the universe, the infinite, the meaning of life, the false freedom of capitalism, and show a clear conflict between modernity and our roots, ultimately, between human beings and the same. Multicolored geometric architecture blend with organic forms, bodies without identity, headless animals, faced many symbols that encourage reflection, iconographic language ... a unique and very special. His works can be seen in streets and galleries worldwide. Countries like India, Mali, Mozambique, USA, Japan, Chile, Brazil, Peru, South Africa, Mexico...also in Europe.